This team of students, faculty, and alumni largely represent the Community Psychology, Liberation Psychology, and Ecopsychology Specialization of the M.A./Ph.D. Depth Psychology Program here at Pacifica. We are excited to share this amazing body of work that our students, faculty, and alumni are engaging with and wish them well presenting at the University of Ottawa, in Ontario, Canada where the conference is being held. In response to conflict around racial issues in communities and on campuses nationwide, as well is in our own classrooms, beginning in the Fall of 2015 two voluntary student groups, one for students-of-color (SOC) and the other for those white students who were willing to be Racial Justice Allies (RJA), began meeting monthly, each with one faculty mentor, in the Community Psychology, Liberation Psychology and Ecopsychology specialization (CLE) at Pacifica Graduate Institute. For the students-of-color, finding a space to discuss perceptions of race and coloniality at Pacifica, and their own struggles to deal with it successfully, created a haven for open strategizing. Meanwhile, the basic question put forward for the Allies Groups was whether white students could recognize when their classmates were feeling assaulted by Eurocentric or racist ideas, and could then work out how to be supportive and stand up for the values they shared. The Racial Justice Allies group allowed them to develop new sensitivities while discussing the fear of making mistakes, as well as their feelings of disruption and discomfort at the questioning of normalized assumptions and the inherited need to appear proper and good. Students-of-color discussed strategies for navigating racialized course content, somatic responses to micro-aggressions and emotional reactions to discussions about racism, as well as resistance. The SOC and RJA groups met during each month of the Fall and Winter terms (2015-2016), and through a collaborative and participatory process, came up with the set of values and goals that will be presented as part of the roundtable. We invite discussion about the process of developing the values and goals and are interested to hear about how people in other institutions and organizations navigate these similar concerns. To view the 2017 Biennial Conference brochure, click here. 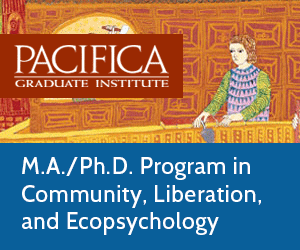 To learn more about the Community Psychology, Liberation Psychology, and Ecopsychology Specialization, visit http://www.pacifica.edu. 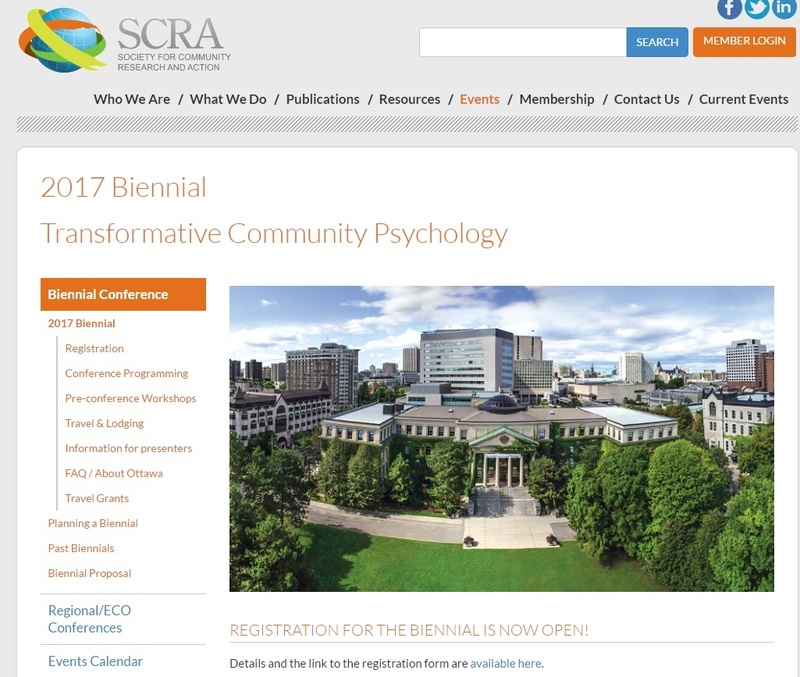 Learn more about the Society for Community Research and Action (SCRA) by visiting their website.